Want to engage customers online? Social media can be a great way to get your customers involved and really create conversations with your target audience. But you need something to actually get that engagement started. That’s where contests come in. There are plenty of different formats you can use for social media contests, depending on your business and the social media platforms you use, but they’re all good at engaging your existing and potential customers. Here are 25 different social media contest ideas to consider. 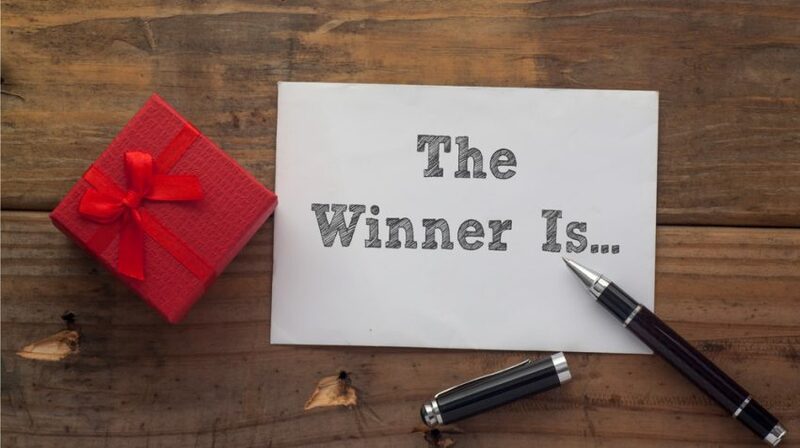 One of the most standard ways to run a social media contest is to just give away a prize to one of your followers on Facebook, Twitter or another platform randomly once you reach a certain number of followers. But you can make it even more interesting by just doing those giveaways at random and surprising your followers with those prizes or opportunities periodically. You can also use photos as an integral part of contests on Facebook and Pinterest. Come up with a unique concept that encourages your customers to get creative with your product. So you could have customers decorate your product or use it in a cool way and then share their photos on your Facebook page so that you can award the best submission. Or you could challenge your customers to submit a photo that shows just how much they love your product or brand. This also encourages customers to get creative with photos and also show everyone just how much they love your business online. Another unique capability of Facebook is that it lets you put your followers in control when it comes to choosing contest winners. You can ask your followers to submit photos or even just comment on a post. Then ask people to vote on their favorite submissions by “liking” them, and award the poster who has the most likes at the conclusion of the contest. On your Facebook page, you can also set up a simple form (using third party tools like Woobox and Shortstack) that lets people enter a contest in a less public way. So if you want people to sign up with an email address or you want to get any personal information from your customers and followers, you can set up a form and have people enter your contest in that way. Much like photo contests, you can also ask your followers to submit a creative video and then offer a prize to the best submission. You can ask for videos that show people using your product, showing off their creativity, or even just talking about their experience with your business. Since Facebook and other social media platforms like Twitter and Instagram let users check in at specific locations, you can also use that feature as a contest opportunity. Ask your customers to check in at your business or at a particular event on Facebook or another platform, then award a prize to one of those people at the end of the week or month. To encourage creativity among your customers, you could ask them to customize your product in some way as part of your contest. For example, if you sell shoes, you could have a contest where customers submit photos of a unique outfit built around them. Or you could even set up an online platform that lets people add different colors, patterns or their ideas to the basic shoes. A social media contest can also simply consist of some simple questions. Ask a trivia question on Twitter or Facebook about your business or an interest area that appeals to your followers. Then offer a small prize to whoever answers the question correctly first. You could also set up a simple guessing game and award a prize to the person who answers correctly or gets the closest. Think “how many jellybeans are in this jar?” But you can make it more relevant to your business if you choose. Maybe take a photo of some of your inventory and ask customers how many of a particular product they see. Contests can also be a great way for you to gather feedback about your products or services. Ask customers on Facebook to share a quick thought about their experience with your business and then award at least one person who shared. If you’re looking to expand your offerings, that can also provide a unique contest opportunity. Ask customers what they want to see in a new product line, then choose your favorite or ask other customers to vote. For those businesses looking for a simple, fun contest idea, consider a caption contest. Just post a funny or unique photo to share on your Facebook page. Then ask customers to share their ideas for funny or interesting captions and award the best one. You can also award more long-form creativity through an essay contest. Post the opportunity on Facebook, making sure to outline a specific topic and length for essays. Then you can have people submit short essays right on your page or submit longer essays to you privately. For food businesses, ask customers to submit their favorite creative recipes that use your products. You can pour through the entries and choose your favorites or let your other customers try them out and vote. Similarly, if your business sells any products that could be used for DIY projects, like home decor items, fabric or even clothing accessories, you can ask your followers to submit their favorite DIY ideas. To increase your reach on social media, ask your followers to tag their friends in a post or comment. This can be done on Facebook, but it’s also a really easy way to hosts promotions on Instagram. Simply post a photo and state your giveaway timeline and rules. Then ask that your followers tag a friend (or more than one) in the comments in order to enter. Choose a comment randomly to award a winner. Another great way to increase your reach online is to partner with other businesses. Find a business or two that caters to a similar group of customers. Then put together a prize package that you think they’ll appreciate and promote the contest on all of your social media accounts. On Instagram, there’s a specific way you can partner with other businesses and make it easy for followers to find all of your host accounts. It’s called a loop giveaway. To set it up, you’ll need to create a sort of circle of host businesses. Each business will post a photo alerting their followers of the giveaway and then direct their followers to the next business so that they can follow and like or comment in order to enter. So if there are four businesses involved, Business A would direct followers to Business B. B would direct followers to C. C would direct them to D. And D would direct their followers to A. You can also increase followers and engagement by posting contests on multiple platforms. For example, if you have a big following on Facebook, but want to build it up on LinkedIn, you can post the opportunity on your Facebook page but offer an extra entry for those who also follow you on LinkedIn. Or you could ask customers to re-post your own photo or post. So on Twitter, you could ask customers to retweet a particular post and then choose a winner by going through the retweeters. Or on Instagram, ask followers to re-post a specific photo and then use a specific hashtag so that you can track the entries. When you’re looking to re-brand your business or even just get your customers to think creatively, ask them to submit a unique new slogan for your business on your Facebook page. Then choose your favorite or have customers vote. There are tons of other ways you can crowdsource ideas from your customers on social media. You can ask them to vote on new flavors, colors, or other product customizations and then award voters or people who share ideas at random.